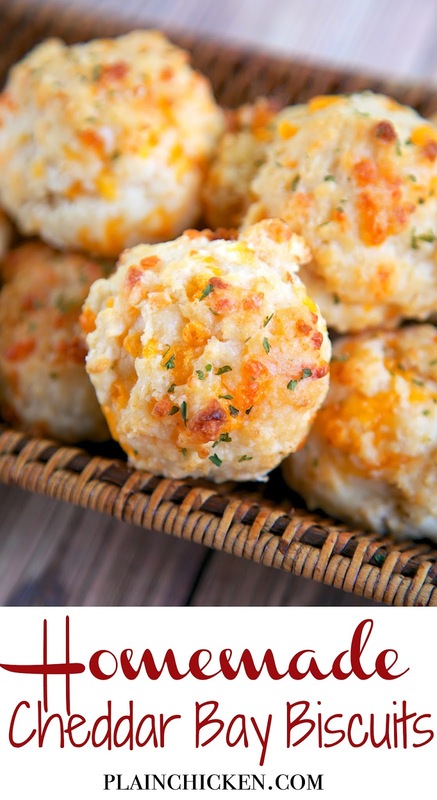 Homemade Cheddar Bay Biscuits - so quick and delicious! Self-Rising flour, butter, cheese, milk and melted butter. Ready in about 15 minutes. They taste better than the original! 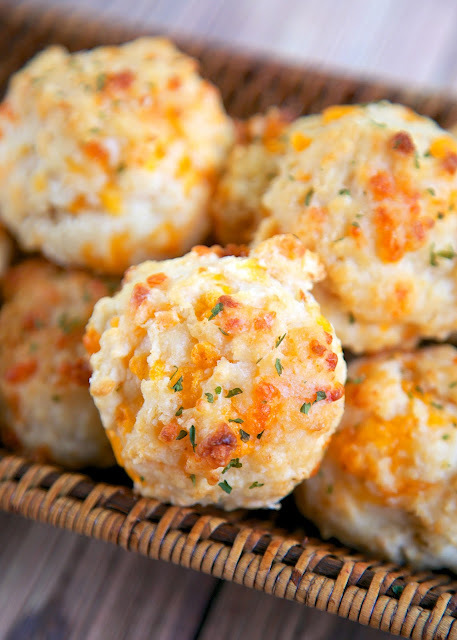 These Homemade Cheddar Bay Biscuits are SO good! Maybe better than the original! This was my first time making biscuits that I had to cut butter into the flour. I have always been intimidated by cutting in butter, but it was actually very easy. I used a pastry cutter, but you can use a couple of knives if you don't have a pastry cutter. The biscuits were super quick to make. They were ready for the oven in under 5 minutes. I used a large cookie/ice cream scoop for the biscuits. It worked great. You can make them smaller if you prefer, just be sure to lower the baking time. 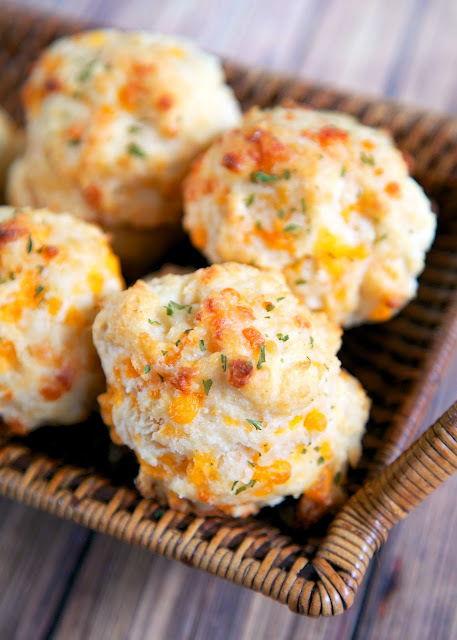 The biscuits are best served immediately after baking. They are incredibly delicious! I ate way too many of these biscuits! It was worth every single calorie!! Preheat oven to 450ºF. Coat baking sheet with no-stick cooking spray. Place flour in large bowl. Cut butter into several pieces; scatter on top of flour. Cut in butter using pastry blender until crumbs are the size of peas. Using an ice cream scoop, scoop batter onto prepared baking sheet. Bake 12 to 15 minutes or until tops are golden brown. Combine melted butter, garlic powder and parsley. Brush tops with melted butter mixture. Serve immediately. I have been CRAVING these biscuits for weeks. You're a saint. 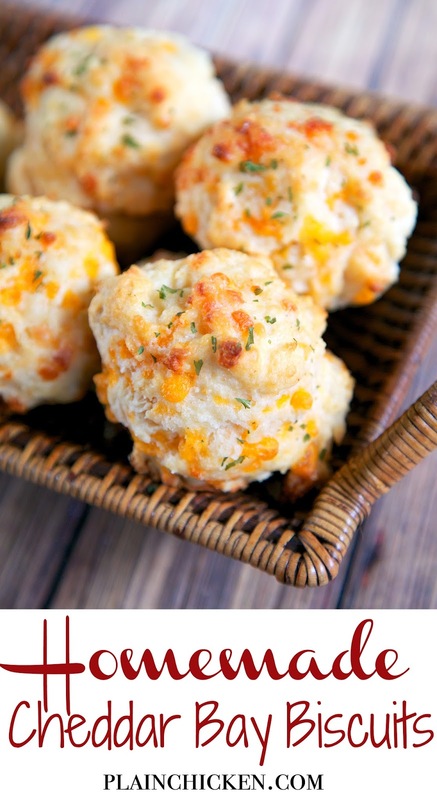 You have to use Old Bay seasoning for an authentic biscuit (that's the bay in Cheddar Bay Biscuit).